The Christmas Holiday season is one of the most spirited times of the year, and few things bring communities together and spread cheer like seeing businesses and city streets decorated. 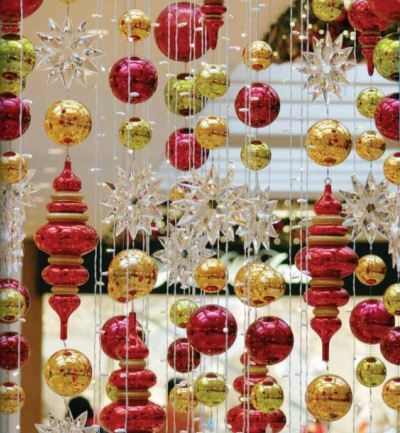 At the same time, many businesses are preparing for their busiest time of the year, and don’t have extra hours to devote to selecting and installing Holiday Decorations. Wreaths of Distinction Inc. is here to serve those businesses and retail operations by providing consultations guided by experience, ordering services, installation, removal and storage options. 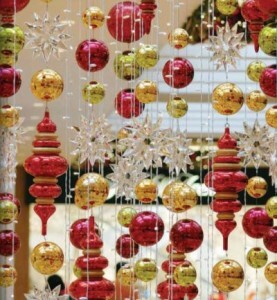 We are honored to assist these commercial operations from beginning to end, whether they need help selecting the perfect decorations, or if they simply need to re-order or re-install their tried and true favorites. Our work doesn’t end with Christmas, we also serve these businesses by professionally removing the decorations once the holiday fun is over, and we can even store them in spaces specifically designed to keep the decorations clean and secure. We also understand that outdoor decorations may suffer some minor damages, so we turn to trusted professionals to make repairs, so that our clients can get as much use as possible out of their decorations. If you own or operate a commercial space in Raleigh, Creedmoor, Wake Forest, Oxford, Franklinton, Louisburg, Zebulon, Knightdale, Wendell, Clayton, Garner, Fuquay-Varina, Holly Springs, Apex, Cary, Morrisville, Chapel Hill, Durham, or Butner, and would like some help in selecting, ordering, installing, removing or storing holiday decorations, we would love to hear from you to see how we can be of service. You can reach us by phone at 919-847-4359 or by email at sales@wreathsofdistinction.com.